Background - Our Client needed a safe and reliable solution to a safety issue at their Works. Project - The original steel grating needed replacing as it was no longer performing to the required standards. The machinery below the covers needed to be accessible by one person. 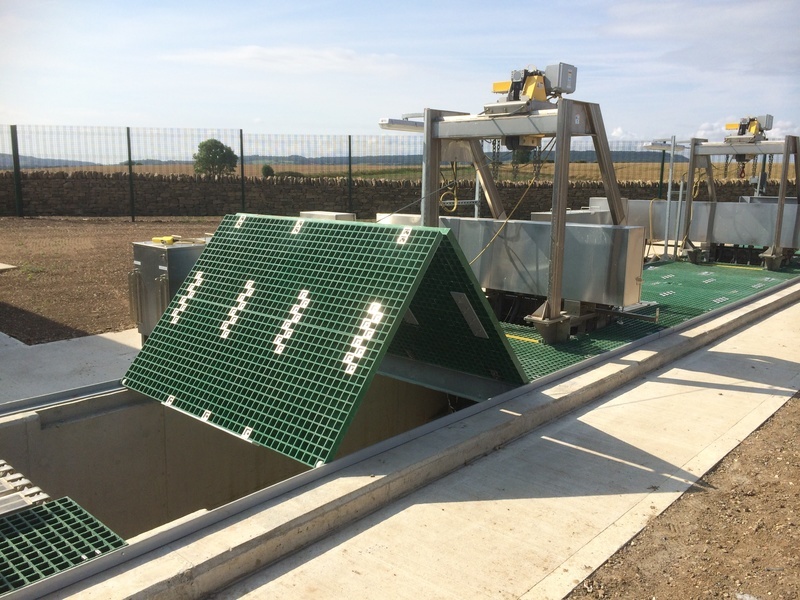 The Solution - Due to its complete resistance to corrosion , our Quartzgrip® GRP grating was used to create hinged pit covers at the Water Treatment Works. With the added benefit of being slip-resistant and light-weight, the panels suited the application perfectly and continue to be used in many plants around the country.